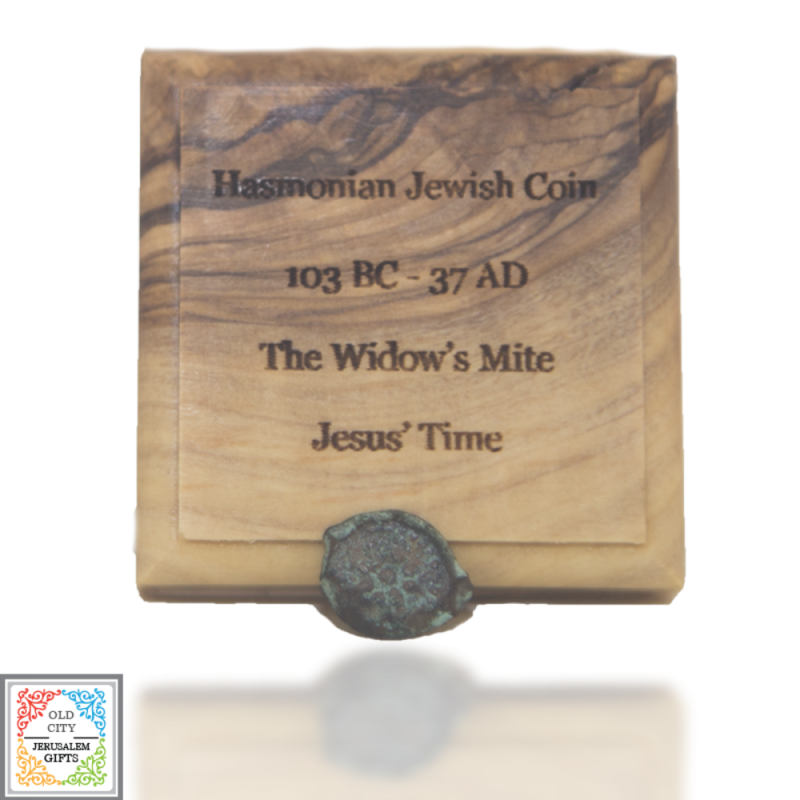 The Widow’s Mite coin is a small bronze prutah of Alexander Jannaeus (76-103 B.C.) 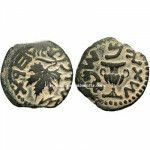 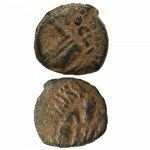 from the Hasmonean Period. 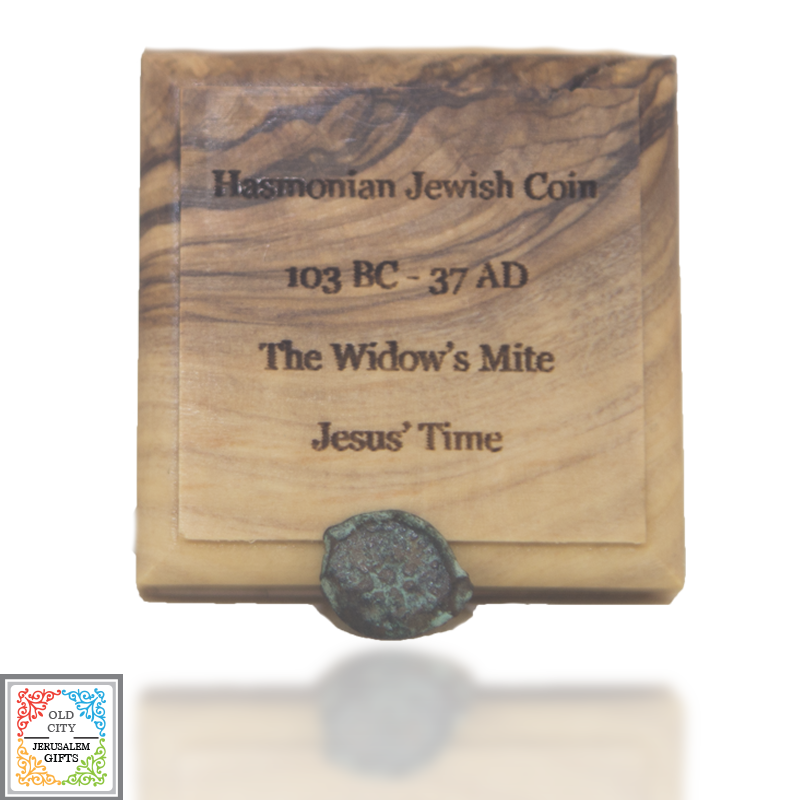 This coin was reused in Jesus’ time as the small change, and is illustrated in Jesus’ parable of the widow’s offering in Luke 21.